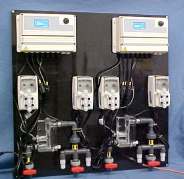 Established early 2000, PTSI provides industrial water treatment equipment to distributors & end users alike. Industries such as municipal disinfection, wastewater, process, food processing, CIP, cooling towers, boilers, and material handling products. Our product lines include the highest quality and best warranties in the industry! 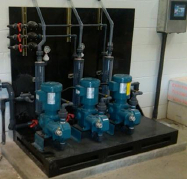 We also build and design custom skids, containment packages, and chemical rooms for special applications. Historically we set them up as close to turn key as possible for our customers. Contact us with your needs. Click the Contact Link above for more info'! Our larger facility allows us to keep more equipment for improved lead times.